Stephen Colbert Will Take Over 'Late Show' : The Two-Way The Comedy Central star will sit behind the desk after David Letterman retires next year, CBS announced Thursday. 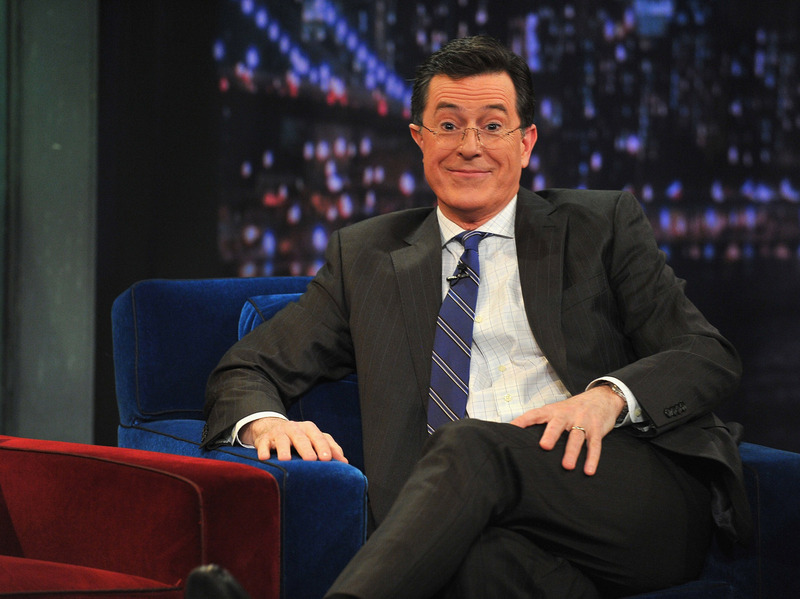 Stephen Colbert: He's moving on up, from basic cable to the big time. "Stephen Colbert to be next host of 'The Late Show'...press release coming"
David Letterman announced last week that he plans to retire in 2015. It was, as Monkey See blogger Linda Holmes wrote, a "meticulously unchoreographed exit" that came as something of a surprise. That set off much speculation about a replacement, and much of the talk was about Colbert, who hosts Comedy Central's The Colbert Report. Now it appears there was some truthiness to those reports. On Thursday, CBS CEO Les Moonves called Colbert "one of the most inventive and respected forces on television." "Simply being a guest on David Letterman's show has been a highlight of my career. I never dreamed that I would follow in his footsteps, though everyone in late night follows Dave's lead. ... I'm thrilled and grateful that CBS chose me. Now, if you'll excuse me, I have to go grind a gap in my front teeth." The network adds that "Colbert's premiere date as host of The Late Show will be announced after Mr. Letterman determines a timetable for his final broadcasts in 2015."